I have a bunch of Warhammer Fantasy figures and my friends started playing Age of Sigmar. 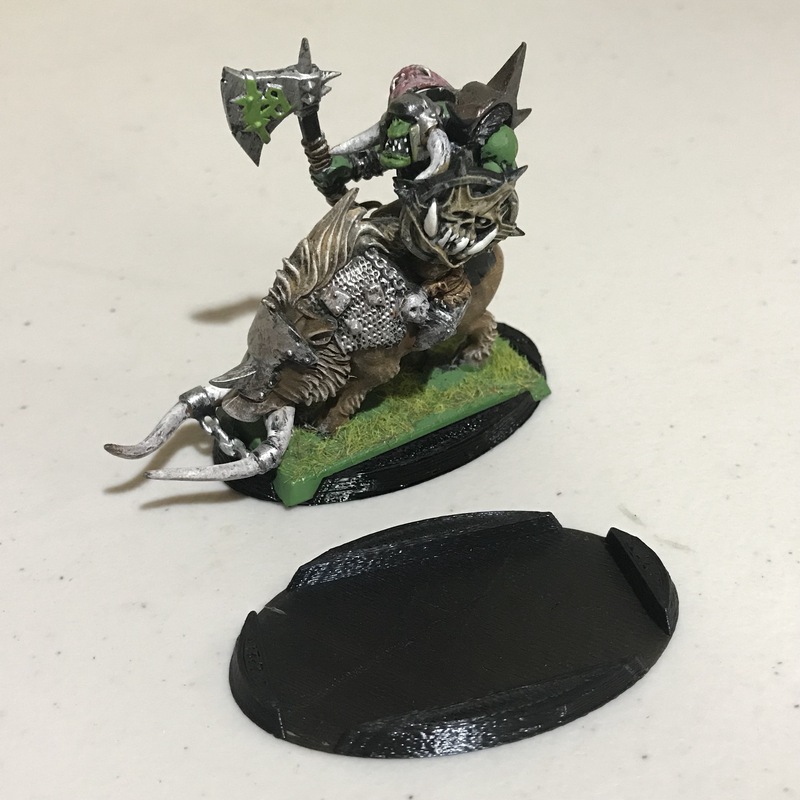 While someday I will have the perfect army, the idea of migrating all of my Orcs and Goblins from their square bases to their round and oval bases sounds overwhelming at this moment. 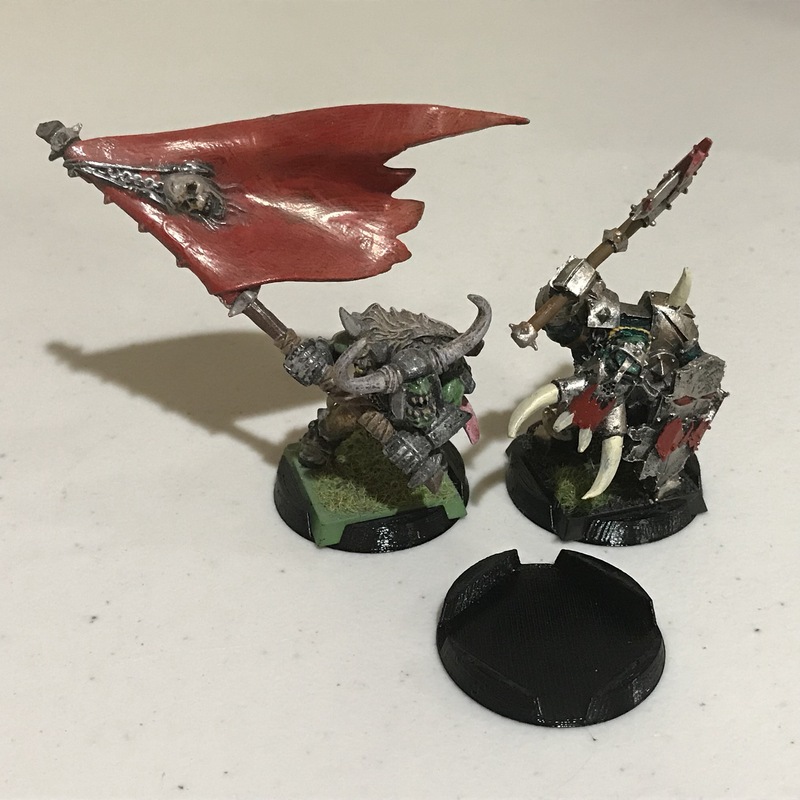 So I decided to try something else – a wrapper around the square bases that creates a circular/oval base: An Age of Sigmar Base Conversion. 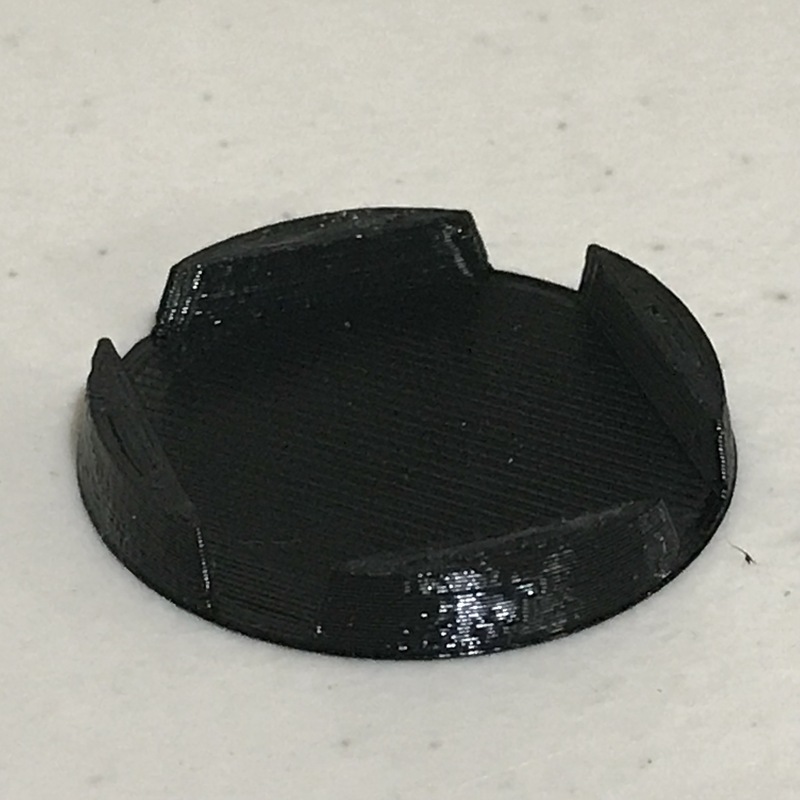 I designed a 3D Printable adapter base. Not perfect, as the square base still protrudes out of the circle/oval by a bit. However, I think it works well enough to give it a try. Right now, the distances are measured from the unit features to the other unit features, but some people play with the house rule of from base to base. In that case, having a base very similar to the other people may be beneficial. If you print in PETG or PLA it provides a nice snug fit that doesn’t allow it to fall out during gameplay. As an added benefit, I can print in different colors and differentiate among different units. Otherwise, it is easy to confuse the 30 orcs in one unit with the 30 orcs in the other unit. Go ahead, grab the file from Thingiverse and print your own. While a search on Thingiverse reveals that at least someone else tried this, I like to make things highly customizable. I have created the OpenSCAD file that you can use to create the other bases. There are two reference lists on the internet that may help: Holy War and Google Docs. If you want me to print them out, check out my Etsy store.